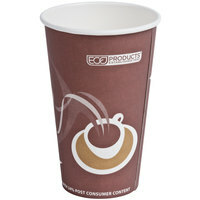 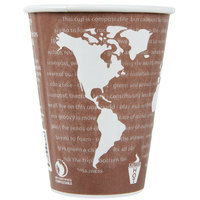 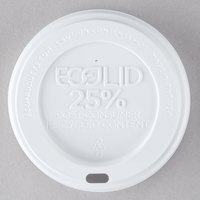 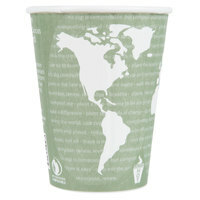 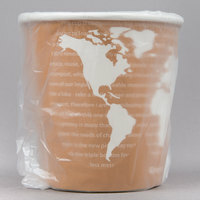 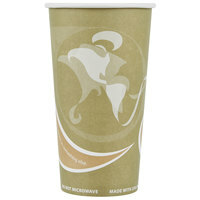 Looking for a more sustainable disposable cup for serving your to-go hot beverages? 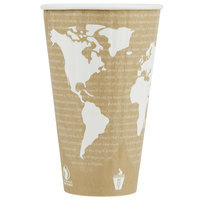 Eco Products recycled paper coffee cups are the perfect environmentally-friendly solution for your coffee shop, cafe, convenience store, office, or hotel. 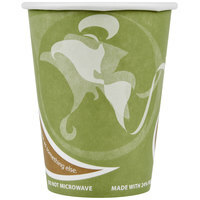 Nearly one-quarter of the material used to make these cups comes from post-consumer fiber, which keeps additional waste from making its way to the landfill. 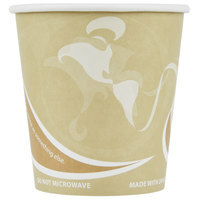 They perform just as well as traditional paper hot cups, while using less virgin paper in the manufacturing process. 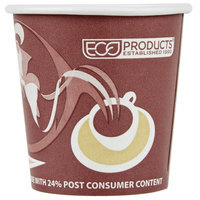 Also make sure to check out other great items from EcoChoice, Lavex Lodging, Dart Solo, Eco Products and Solo Bare. 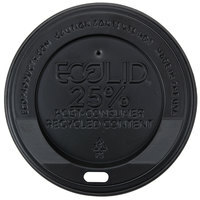 Using Eco Products recycled paper coffee cups in your restaurant or convenience store shows your commitment to the environment. 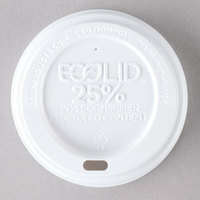 Each product is made with post-consumer fiber, so that less new paper is needed. 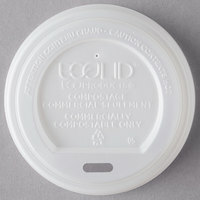 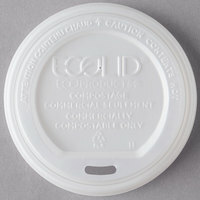 However, they're still durable enough to keep hot beverages like coffee, hot cocoa, cider, and tea warm for longer than other disposable cup options. 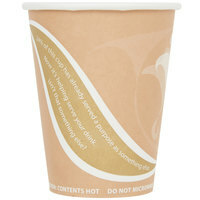 These cups even protect customers' and staff's hands from the heat for easier and safer handling. 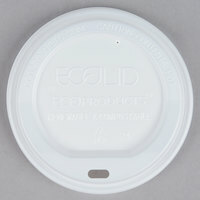 For more disposable products, check out our plastic take-out deli bowls, straws and stirrers, and coffee filters. 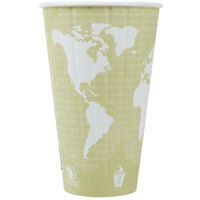 If you're wondering where to buy eco products green recycled paper hot cups, we have a large selection of eco products green recycled paper hot cups for sale at the lowest prices.